Battle Road tournaments will be starting this weekend, and I have to say, I am pretty excited. January was the last time It’ll have been about 4 months since I last played in a tournament (Winter Regionals in January), so I am super pumped to go out and do well again right away as I’ve been away from the game for far too long. I’ve settled into my deck choice for the Saturday tournament, and will probably switch decks for Sunday to keep things fun. After hammering out a bunch of testing matchups with my testing partner J.W. tonight, I’m pretty certain that I will do well and that my list is absolutely wicked. Headed into Battle Roads we will have an interesting meta game, which I don’t think will be representative at all of the meta game that we end up with when we get to the National Championship. It will of course be variant depending on the area, but I expect a lot of new decks and takes on decks to pop up during battle roads which will force a meta game shift from what we expect after Battle Roads. With this article I want to go over some of my general observations on the format and what I expect to see played as we head into the first weekend of Battle Roads. Plasma: Will it live up the hype? Yes. This is a very simple answer, but Plasma decks are going to very well. The main cards: Thundurus EX, Deoxys EX, Kyurem PLF, and Lugia EX are all very strong and they all have a support engine to back them up as well as loads of energy acceleration. The deck has a lot of versatility in different attacks, from first turn attacks, snipe attacks, and an attacker that is able to gain prizes. Not to mention the deck easily hits a lot of magic numbers, so when a deck is able to do all this, it’s hard to not see it doing well. I think Plasma Basics is very much the Darkrai EX of this year. Not only will it be a very good deck, but no one has any idea on what the best way to play the deck will be, so we will see a lot of variations in the way the deck is built, which will make for a more interesting tournament format than the past few where everyone kind of knew the best way to play the top decks which made for a very stale format. The other thing to look out for with Battle Roads is that Thundurus/Deoxys might not see a ton of play, which will change the results from what we’re expected. These Battle Roads look to be less competitive than last years, as you have a set of players who won’t be taking them seriously as they have their World Championship invite wrapped up, and then another group within striking range which will play them competitively, and then everyone else. This is a bit different from last year where more players were fighting to keep their spot in the Top 40, and Battle Roads were also worth more points. Lets face it, not a lot of people want to drop $300+ on a new deck if they aren’t playing for their world’s invite and won’t need the cards until the National Championship at the earliest, especially with it announced that Thundurus and Deoxys will both be in tins in the Fall. This does two things: 1.) Make it so other decks which might not have the best Plasma Basics matchup a chance to succeed and 2.) Make it so a player who does go out and get the cards for the deck have a chance for some great success if their local metagame is not prepared or geared towards beating the deck. Through my testing, I have narrowed down Plasma Basics, Blastoise/Keldeo EX, and Darkrai EX/Absol PLF as being the best plays for Battle Roads. Plasma Basics is great for all the reasons I stated above, and I think it’s a deck that can be built in different ways to counter the local meta game. Blastoise/Keldeo EX has gotten a lot stronger with the release of Superior Energy Retrieval, which makes it a lot easier to stream Black Ballista’s with Black Kyurem EX or to build up six or seven Energy Keldeo EX for big Secret Sword attacks. The downside for the deck is that there are more donk threats to Squirtle in the format, but I think the fear of donk is overstated. If you can get a Blastoise up on turns 2 or 3, I think you will be in good shape against most decks with Blastoise. Additionally, I see the two hate decks in the format against it: Klinklang and Garbodor seeing less play because of Plasma Basics strong matchup against them. Darkrai EX decks have been very solid ever since Darkrai has first been released, and I don’t see that changing anytime soon. Darkrai finally found a partner that can be Dark Patched directly to that is a non-EX, which can mess up the prize trade as well as take some surprise KO’s to unsuspecting players with Absol’s Mind Jack attack, which most importantly, greatly improves Darkrai’s matchup against RayEels and gives Darkrai a solid matchup against Plasma. There are two decks that I see as being big losers with the release of Plasma Basics, as the new deck appears to matchup favorably against the two decks. The first deck is Big Basics. Thundurus EX is able to hit Tornadus EX for a lot of damage on turn one, and Kyurem PLF is easilly able to deal with Landorus EX, all as a non-EX attacker. Simply put, Plasma Basics is the new Big Basics of the format. The other deck is Garbodor, which is an extension of the Big Basic archetype. Garbodor might find a way to be played in the new meta game, but I don’t see much hope for it early on, and wouldn’t expect any players to unveil good builds until Nationals. This deck has similar problems as the aforementioned Big Basic deck with the new Plasma Basics deck, which isn’t overly reliant on Abilities. I’ve seen a lot of Cobalion EX/Landorus EX Garbodor builds, but I don’t think these are particularly good either. There will be a lot of Plasma players who will be playing Basic Energy variants, which will be very unharmed by this variant of the deck. 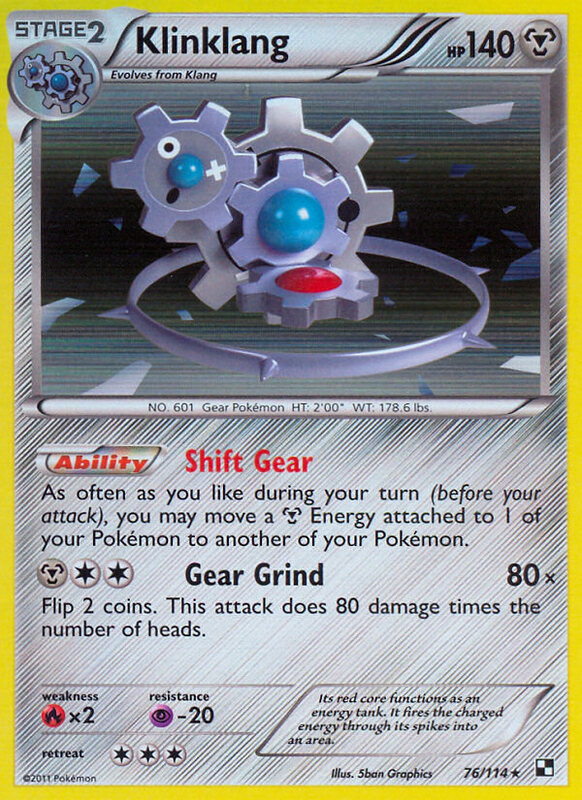 Additionally, I think players of other deck archetypes may choose to tech more for Garbodor than in the past with how much play it saw in the last format…at least in the beginning. There are two wild card decks entering the new meta game for me, and those are Rayquaza/Eelektrik and Plasma Klinklang. Both decks are hurt by new threats in the meta game, but both still have resounding power as well, and the matchups aren’t as simple as some make it out to be. Rayquaza/Eelektrik is hurt by a few things in the new meta game, most notably Kyurem PLF and Absol PLF, both of which give their respective decks solid non-EX answers for knocking out a Rayquaza EX, even if it has no damage on it. The other is Superior Energy Retrieval in Blastoise, making it easier for Blastoise to stream attackers against the deck. Still, RayEels is still a deck that can quickly end a game with a series of OHKO’s on EX’s. It’s a risky play for sure, but it can still pay off with huge dividends. Some other threats to the deck are the new weakness of Victini EX and Emolga DRX. Kyurem PLF can knock out Victini EX on turn one with a few different combinations of Deoxys EX, Hypnotoxic Laser, and Virbank City Gym, which puts the Eelektrik players well behind in the prize trade on turn one. The other new threat is that of Thundurus EX donking Emolga, because of its Lightning weakness. Where does this leave RayEels in terms of a starter Pokemon? I don’t really know. Right now, I think swapping out Emolga for Shaymin BCR is probably the safest play. Klinklang is threatened now by an influx of new non-ex attackers with Kyurem PLF and Absol PLF being the main players here. Kyurem poses the greater threat for the deck, as even though it is Metal weak, things aren’t quite as simple of saying that is enough to beat it. Cobalion EX needs to 2HKO it. Cobalion NVI is probably the best answer as it can knock it out with just two Energy, but it only scores the knock out if the Kyurem is fully loaded. 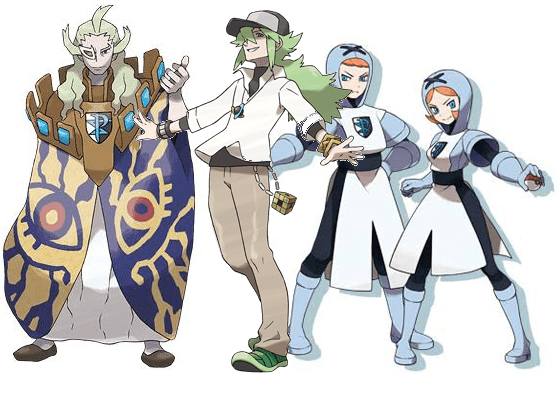 Alternatively, Plasma Klinklang can knock it out as well, but all of these are heavy Energy attacks, and Kyurem easily knocks out all these Pokemon. The matchup between these two decks is fairly complex actually, and the build of each being played will greatly impact the matchup. If the Plasma player only opts for Plasma Energy as a special energy, then it will heavily be in favor of the Plasma player. With special energy, it becomes a messy matchup that can come down to making good plays and getting good draws on both sides. The other Pokemon to take into account is Snorlax, whose Team Impact attack can easily do 180 damage on back to back turns and quickly change the tide of the matchup. I don’t think Klinklang is quite dead, but I don’t think it is nearly as good as it was before. The dark horse for me heading into this format are Plasma Badge decks. 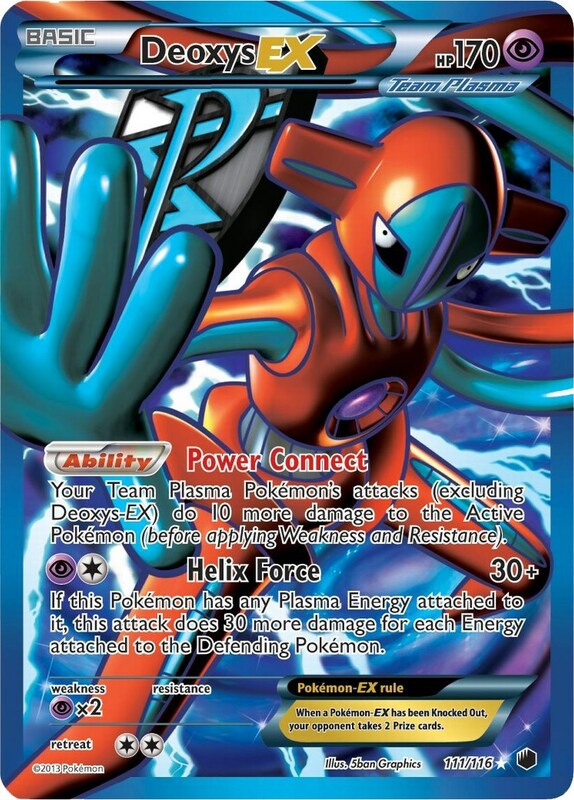 This gives a good source of Energy acceleration for cards that didn’t have it before, and also allows them to interact with other strong Plasma Pokemon like Lugia EX, Thundurus EX, and Deoxys EX in an all new deck type. I’ve tried it with Darkrai EX, and it seems solid to me, and I’ve seen other players play it with Landorus EX, which is a deck I’m not too thrilled about, and we’ve been testing it in St. Louis with Dragonite a bit, because Dragonite seems fun. 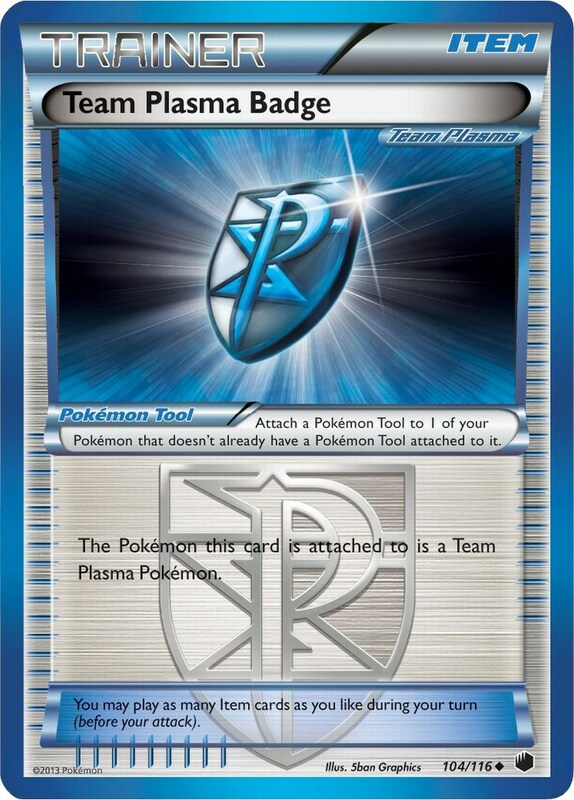 Not sure what will ultimately end up being the cards that find a new home with this card, but I am confident there will be a good deck to come out of the Plasma Engine being run with non-Plasma Pokemon and Plasma Badge. That’s about all of my initial thoughts headed into the format. As I said in the introduction, I am super excited to play again after such a long layoff from the game. Really, if you’re getting burnt out on the game, taking a little break can really get you excited again, and I am glad for the layoff, even if no points from States and another Regional Championship meant no chance at a World’s Invite this year outside of killing nats. I think my girlfriend will be accompanying me for one of the tournaments this weekend, which I am pretty excited about. Still trying to figure out what a good deck would be for her to play as she’s never played before, but Battle Roads are certainly a good entry point for one to get their feet wet in playing.